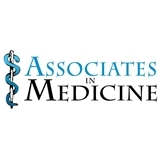 Associates in Medicine, P.A. (Houston) - Book Appointment Online! Associates in Medicine, P.A. is an independent practice of internists that has served the Greater Houston area since 1976. Our practice was founded with the goal of providing personally attentive, individualized, life-long primary care to patients. All of our physicians are board-certified and well-regarded within their field and specialize in preventative care and disease management. We are now located in the Galleria area, just north of San Felipe and inside the loop on the first floor of our new building at Post Oak Place. Come visit us! Dr. Yang and her team are perfect examples of excellent professional health care.